Why Do People Still Ask This Question? At Blogger Bash, I had something terrible happen. So bad, I almost cried. Like right there, in the middle of the conference. And it's because some people don't have tact and ask stupid questions. I don't know you from a hole in the wall and you ask me that as I'm standing next to you. What if I had abdominal seperation or Diastasis Recti? What if I had infertility issues and you asked that? What if I'm just overweight? What if I'm 9 weeks post partum and even though I weigh less than when I first got pregnant, everything is in the wrong place still? But seriously, why do people think it's okay to ask this question. Unless a woman straight up looks at you and says "I'm Pregnant", you shouldn't ask this question! So I need to know, am I being crazy? Or do you think it's totally inappropriate to ask as well? Get Pumping with a Nurse Purse! Disclaimer: I was given the product for review purposes. All thoughts and opinions are my own. Everyone knows I nurse my kid. 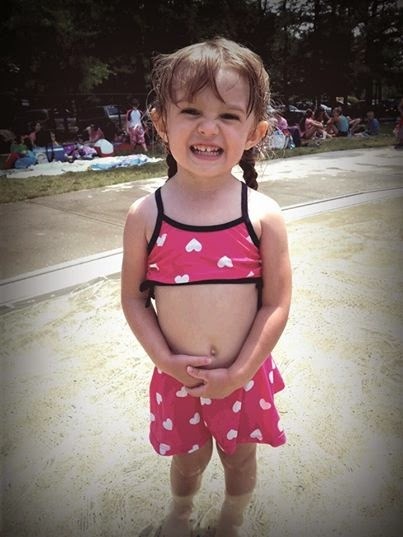 There are some Instagram pictures and a daughter who walks around with a doll stuffed down her shirt to prove it. When I went to Blogger Bash last month, I knew I would need to pump to keep up supply while I was away from the baby. When I go back to work in September, I'll be bringing my pump with me for during the day. Let's be honest, I really didn't want to walk around carrying the super obvious Medela pump bag so I went searching for a better option. It's a better pumping bag. Even though both are bags that offer front access to your pump, immediately, you notice the Nurse Purse just looks nicer. I have the bag in Wildflower but Nurse Purse offers 3 other designs I'm obsessed with. Additionally, the Nurse Purse is much larger. Using the Medela bag was tough. There was barely enough room to store the flanges and bottles needed to pump! With the Nurse Purse, there's plenty of room! I can keep the flanges, the bottles, a hands free pumping bra, milk storage bags, and a small cooler in it and still have room! 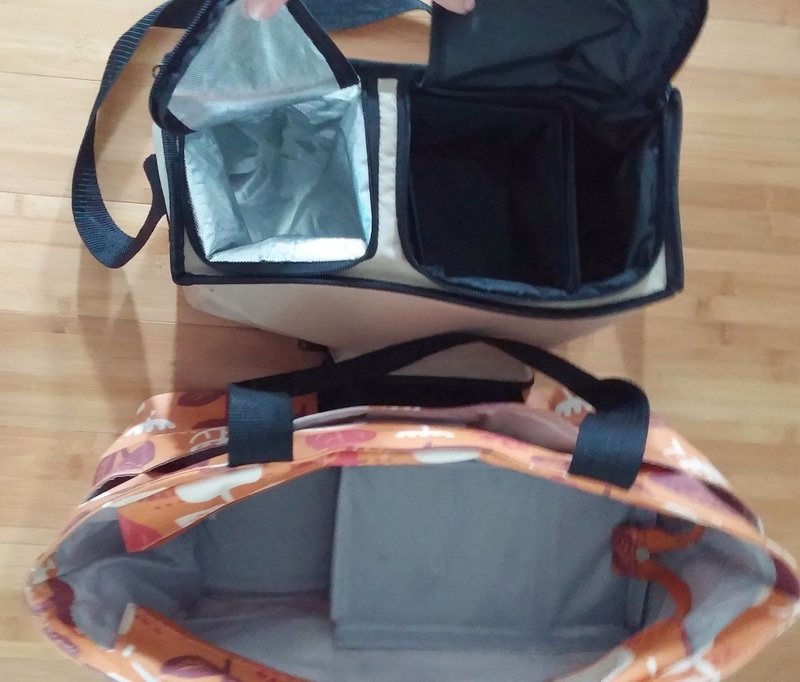 Unlike the Medela, the Nurse Purse does not have a built in cooler but it's so roomy that I could use a small lunchbox or cooler and still have lots of room left! Another feature I love is that there is a space to put a picture of my little man. 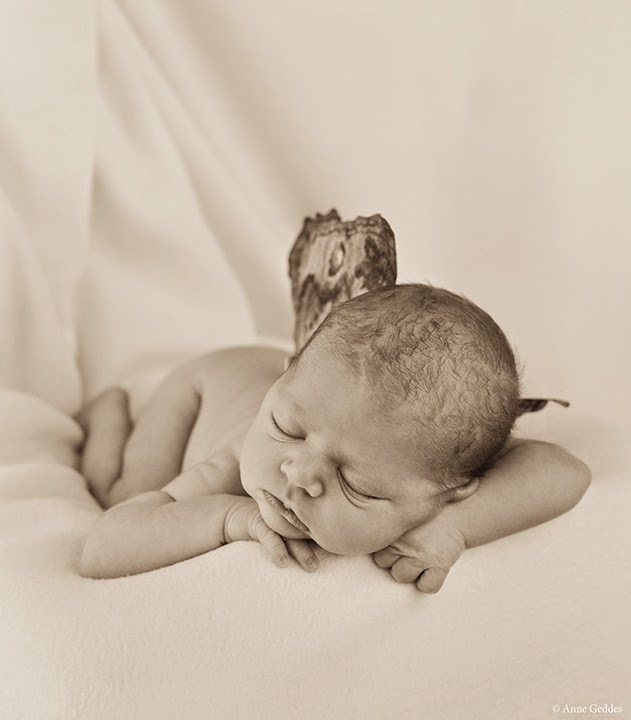 Studies show let down is much easier when thinking of or looking at a picture of your baby so this is super helpful! 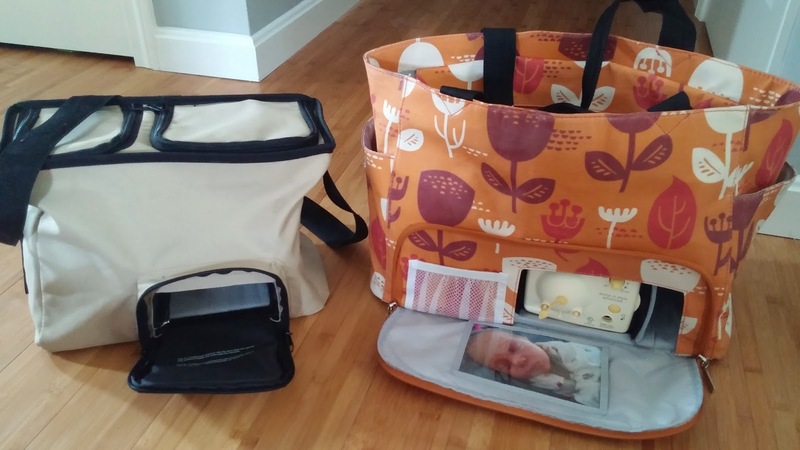 The nurse purse also offers outside pockets, which the Medela does not have. 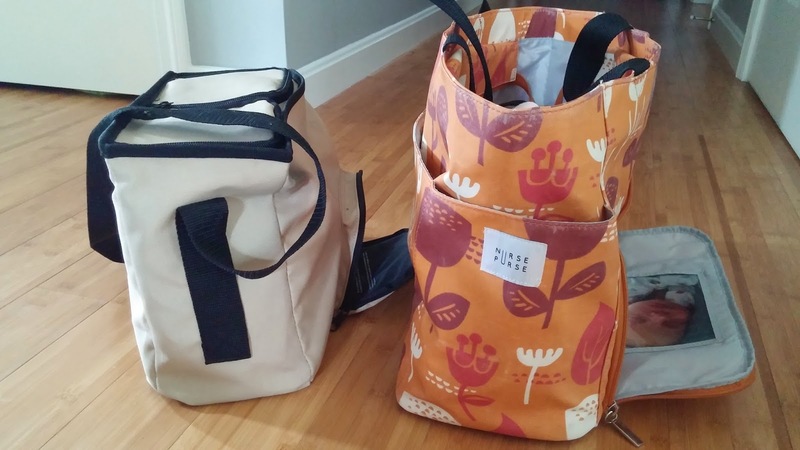 That means you can use your Nurse Purse as an actual tote bag too! The pump support is removable for after you're done pumping and it's compatible with most pump brands. 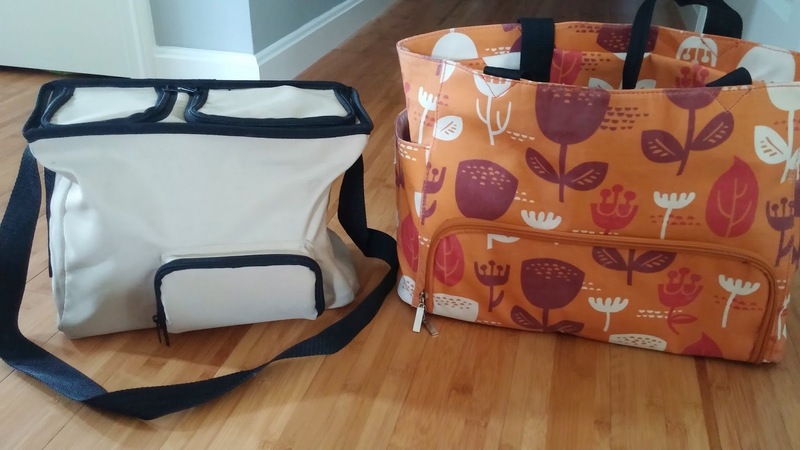 The bag itself is 100% cotton with a nontoxic, water and stain resistant coating, and is PVC and BPA free! At Blogger Bash, I filled up the inside of the tote with my pumping supplies and the outside pockets held business cards, a bottle of water, my wallet, a pen or two and some gum. This Fall, when I go back to work, no student will even think twice about my new super cute tote bag. Little will those high schoolers know that I'm actually schlepping around my pump! You can pick up a Nurse Purse for only $129 from their website. Isn't it such an amazing bag? What another double post in one day? Yikes, but once again... it's awesome! woah.. that's a lot, right? Enter below and make sure to check the terms for more info! *this isn't international- sorry babes. Disclaimer: I received this product from #sweetsuite14, however all thoughts and opinions are my own. Last week at Blogger Bash, the first major event was Sweet Suite. Known as the largest night of play, it was chock full of brands, toys, and sweets! There were tons of pictures on Instagram of all the toys I walked away with that night, but look at this ridiculous box of toys that just showed up to our house!! It's like Christmas, but in July! And that's totally a thing right? So I'm just going to run with it! 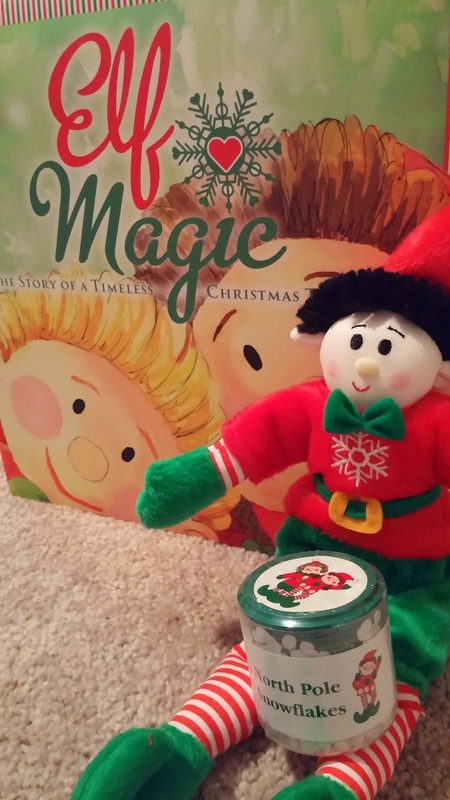 Speaking of Christmas, one of the most adorable toys is this Magic Elf! You might think you know about the Christmas time elf, but this is the best one. YOU CAN TOUCH THE ELF! I know you're dying right? This elf is totally into being held and that is just wonderful to me. It's a great playset that includes a 10" Elf and lots of fun play accessories! The day your elf arrives, you sit and read the book as a family. I highly suggest hot cocoa for this step. Your children can play with the elf however they want; this elf doesn't report back to Santa (unless you want it to! ), and when the children go to bed, the real magic happens! Your elf may get into the candy stash, leave feet prints on the toilet, or make snow angels in the flour, whatever its little heart desires! Elf Magic is available from Santa's specially picked North Pole Supply Posts and you can see which ones here! Merry Christmas (in July!) and I can't wait to show you the rest of these great toys! Also, do we love my first ever Vine? You can find ( and follow) me there now too . To try and put this all into one post is like trying to hold everything you want to buy at Kate Spade without a shopping bag... it's just not going to happen. Consider this the readers digest version, but still long and super picture heavy. I promise, in the coming weeks, I'll have even more in depth posts for you! Fitbit Meets Tory Burch - Obsessed! After months and months of saying it's coming, Fitbit finally released the line from Tory Burch! These items are available for pre-order now! I ordered the navy bracelet already and am counting down the days until the pre-orders ship! So are you a FitBit fan? Will you be pre-ordering a Tory Burch Accessory? Which one? 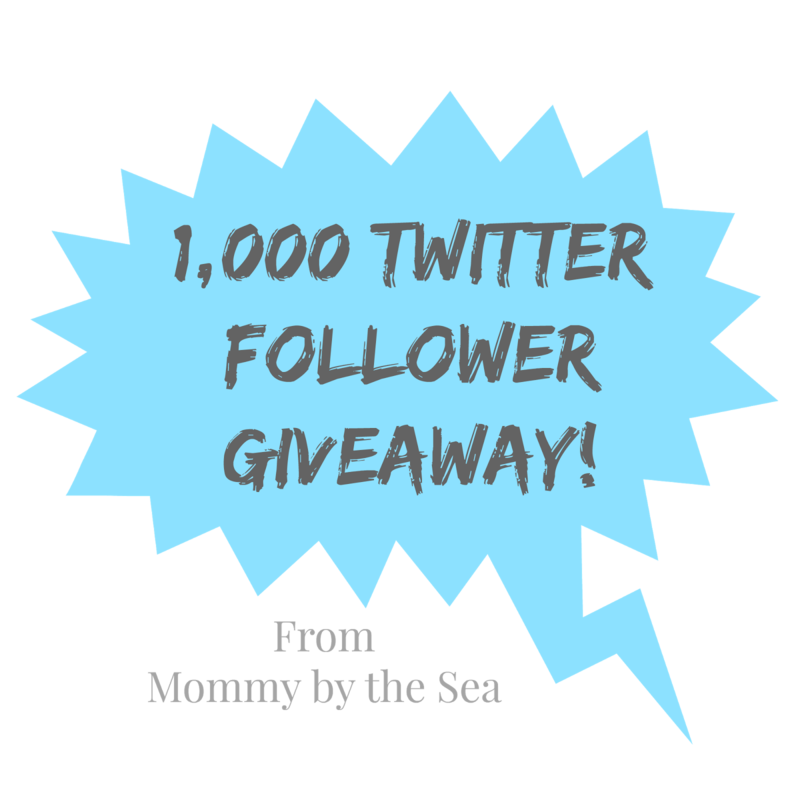 1,000 Twitter Followers = An Erin Condren Giveaway! I never post twice in the same day but this is pretty big! I never thought when I started writing so I didn't strangle my husband I could deal with all my emotions, that it would turn into something wonderful that other people enjoy reading! I still consider myself a super small blog but I hit a real milestone while I was in New York attending Blogger Bash - 1000 Twitter followers! So to say thanks I'm running a giveaway that everyone will love! I'm giving away a $25 Gift Card to Erin Condren! Put it towards a new Life Planner, some great stationary, or even a wonderful smelling candle! This is an online code so it's open to ANYONE, even if you don't live in the US! Enter in the widget below! Contest will run until August 1st. Winner will be emailed and has 48 hours to claim prize. Disclaimer: This contest is in no way sponsored by Erin Condren. I just wanted to use their product! Summer Style with Stella and Dot! A sunny day and a road trip in a convertible, lazy afternoons and a shady hammock… some pairings are just obvious, but when it comes to fashion, trying to find the right style, as well as add your own personal touch, gets a little more complicated. Check out the summer style suggestions from the stylists at Stella & Dot, where pairing the right necklace and neckline is fun! Meeting your boyfriend's parents for brunch? What about that navy strapless sundress with the Stella & Dot Sardinia Pendant ? Heading out to the summer concert series in your spaghetti tank? Rock it out with the Stella & Dot Medina Bib Necklace. Bangles, bracelets and bold earrings… whatever your style, and with all of your summer wear, Stella & Dot has put together everything to make sure that you are the hottest thing out there this summer. To say Blogger Bash was the most amazing, insane, busy days I've ever had as a blogger would be an understatement. I need like another week to recover form those two days! Over the next few weeks, I'll be writing about Sweet Suite, Babypalooza, some amazing bloggers, and photodumping the hell out of the trip, but for now, I need a drink and a couch. Get Organized for Back to School with Zulily! Disclaimer: This post contains affiliate links. Content was created for zulily but all thoughts and opinions are my own. Everyone knows my real job is teaching English to high schoolers, but I started summer vacation 6 weeks early this year. My last day of work was May 5th. Last week I started we started our summer support program, I found notebooks and "back to school" signs at Target, and tonight I'll be attending the KidzVuz Back to School party at Blogger Bash. I think it's safe to admit that I'm thinking about back to school in another month. And obviously with back to school comes back to school shopping! My back to school shopping is divided between stuff for the princess, who is starting preschool this year, new clothes for me, supplies for my classroom, and things to help make the year go smoother. Zulily is offering a TON of back to school deals to make it easier on mom and dads wallet! I am loving all the items they have to help get you organized so you can keep running smooth during the school year. A chalkboard calendar to keep everyone organized. A menu planning board to make nights that much easier. I love this! each kid can have their own cubby for their backpack, shoes, etc. Nice and clean! How great would this be!? Each kid could have a pocket? Or you could have one for papers in, papers out, and even the mail! I'm going to be so stressed this year. 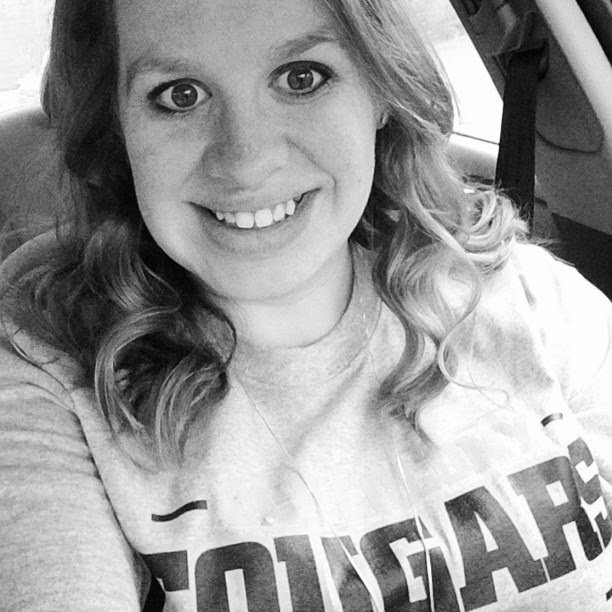 Teaching full time and then coming home to TWO children this year! I'll need all the organizational help I can get! So tell me, what's your best "get organized for the new school year" tip? That's right! Tomorrow we leave for New York City! I briefly mentioned Blogger Bash in my last post but here's some details, or at least what I know of them! Blogger Bash is a two day conference in New York City, chock full of parties with brands and other bloggers. I'll be spending my days rubbing elbows with Hasbro,LeapFrog, Crayola, Lego, VTech, Fisher Price, Kidz Bop, Our Generation Dolls, Microsoft, and Lands End, to name a few. And if you think the brands sound amazing, the guest list is even more ridiculous! 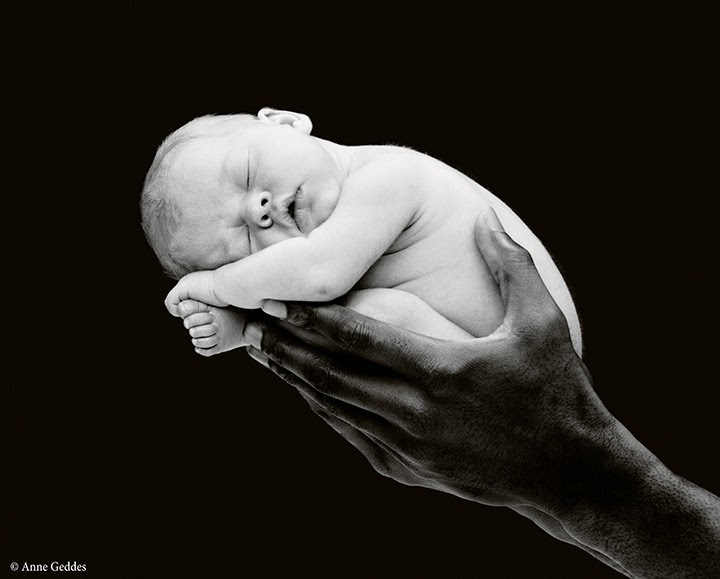 I'm specifically talking about the one and only Anne Geddes. I'm 92% sure I had this poster hanging in my room when I was younger. I love her work and just think those babies are the most adorable! Being such a fan, I was obviously thrilled when I found out that she would be at Blogger Bash! 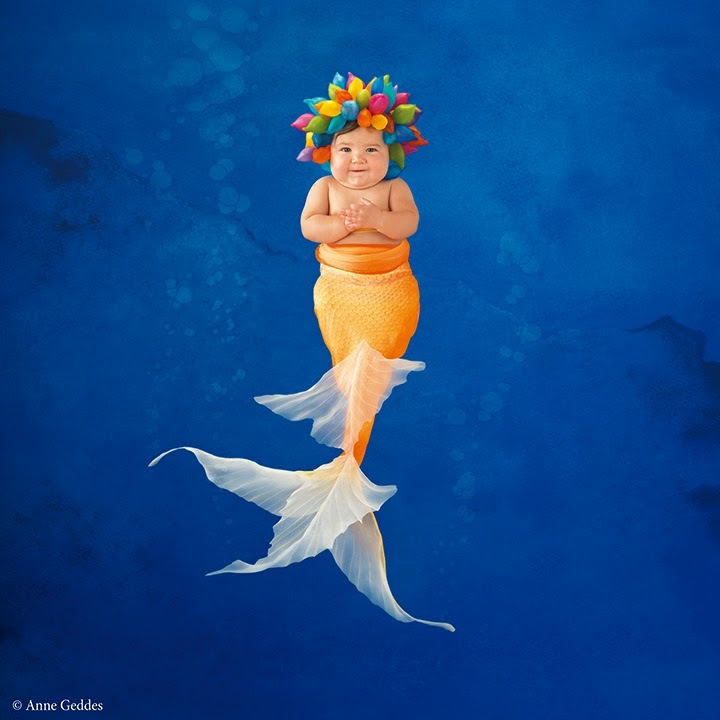 She's releasing a new calendar with ridiculously cute babies, titled Under The Sea! Don't you just want to squeeze this little baby?! 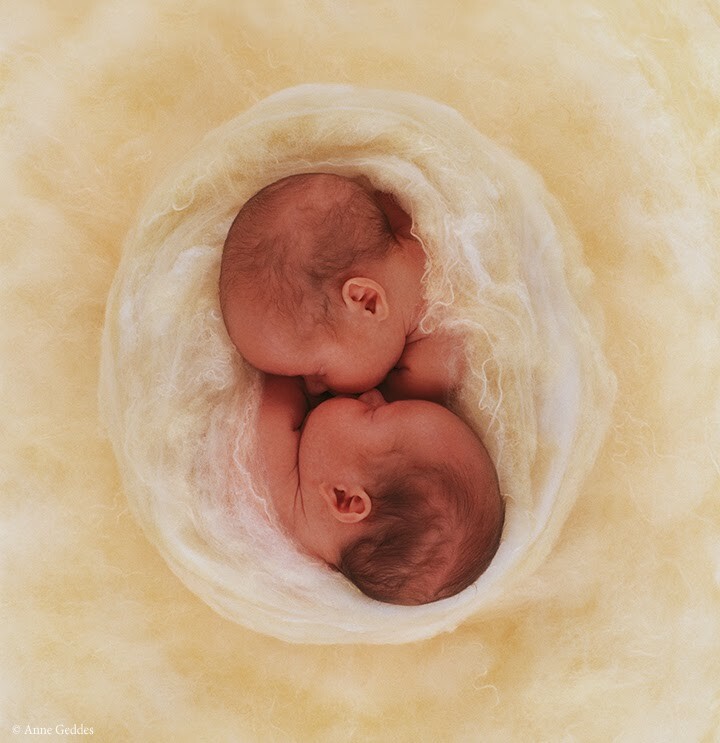 I'm not going to lie, I'll probably end up squeezing Anne Geddes if I get the chance to meet her! 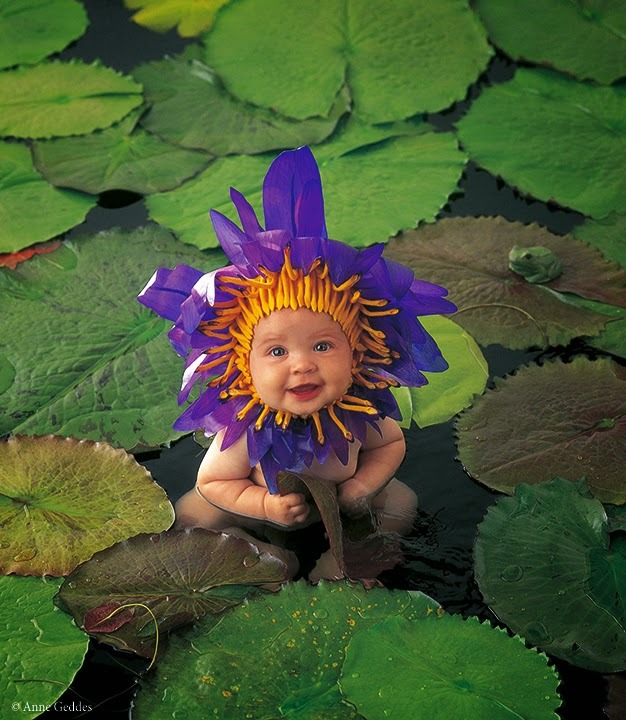 So tell me, do you love Anne Geddes? Were you like me, with baby pictures all over your wall? Which one(s) did you have? And just because... more babies... squeee! 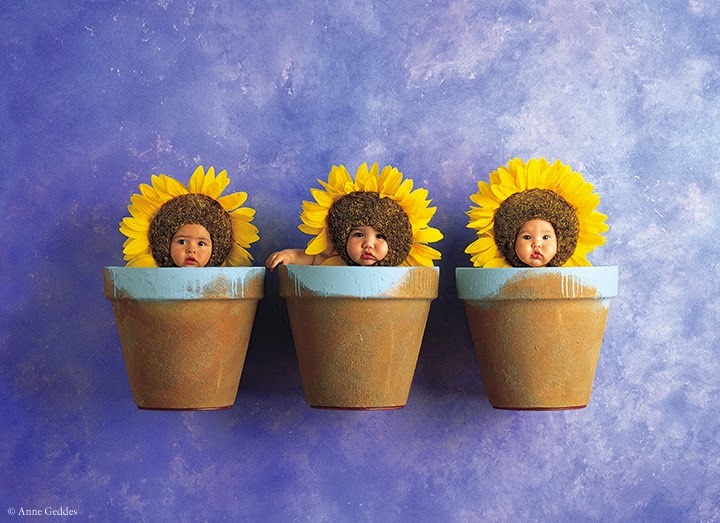 Disclaimer: This post is an entry to win a meet and greet with Anne Geddes, however, all thoughts and opinions are my own. Blogger Bash Coffee Talk Link Up! and said it with a terrible New York accent. Oops. But it's coffee talk- time to say hi to all the other bloggers heading to Blogger Bash next week! Southcoast, Massachusetts. About a 15 minute drive to Cape Cod. I started blogging in January of 2011 before my daughter was born. It was my way to document everything happening with my pregnancy. I wrote about our trials with becoming "those welfare people", our amazing Christmas Sweaters, and what to buy if you're having a baby. I had some identity issues, had three different blog names and finally landed on Mommy by the Sea in January of 2013. That's also when I started taking blogging seriously, and not just as a journal for myself. I started building social media presence, working on a 30 by 30, doing link ups, reviews, and branding myself! I've had a few names but I love the name, Mommy by the Sea. I'm exactly that. A mom who loves and lives by the Sea, specifically the Atlantic Ocean via Cape Cod. I write about all the things Moms would want to know about: fashion, books, baby stuff, recipes... you name it, I probably have a post on it. This is my FIRST conference (other than a small 50 person one in Boston that lasted 6 hours)and I'm so excited for all of it! Really looking forward to meeting some bloggers I've been talking to for over a year and can't wait to meet all the brands! 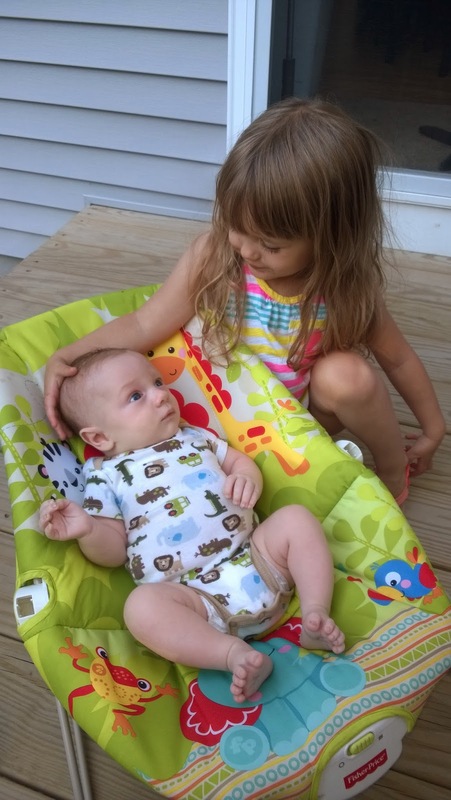 Emmalee, the princess just turned 3 and Tyler, the little man is 9 weeks old. People who complain constantly! Life could always be so much worse. My grandfather. I've never met him since he passed away when my mom was four. She'd obviously be invited too. Can't wait to see everyone next week! 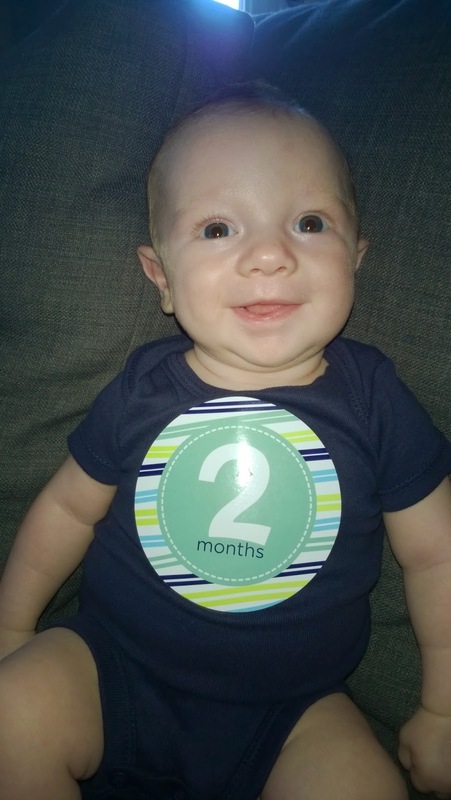 Happy 2 Months Little Man! 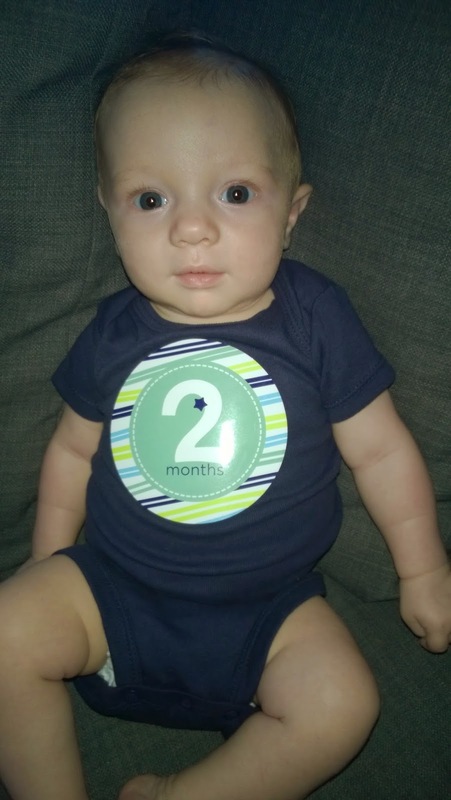 At the beach on Sunday, I realized this little guy is 2 months old now! At the doctor yesterday, he measured 24" and 12 lbs, 8 oz! He's growing so well, the doctor was really happy. 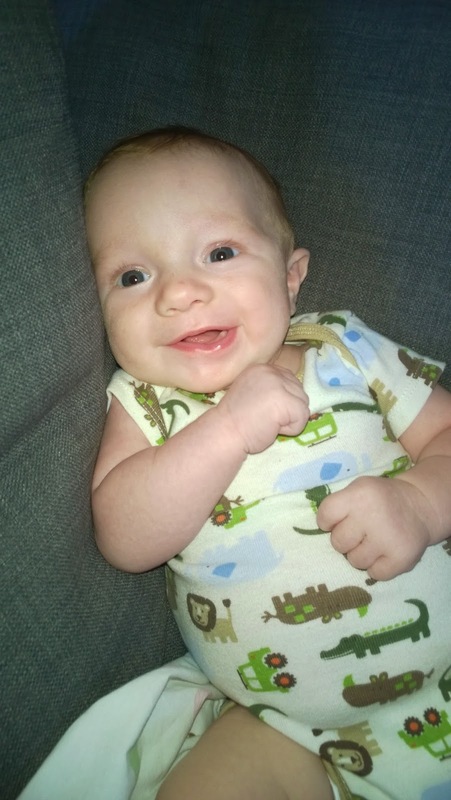 He now falls into the 75th percentile for babies his age. Not too shabby. Such a little man. Everyone who sees him or his pictures comments on how much he looks like a little old man. No more little baby acne, perfect blue eyes, and his hair is so light! Sometimes it looks reddish, but mostly blonde. The dark hair he was born with is growing out so it looks like he has the old man tuft of hair on the top while the rest stretches from one ear to the other. I love it! He still likes to roll over but he's grabbing on to things now. This includes me while nursing or a toy that Emma is holding up for him and her hair! She is not a fan! He smiles all.the.time. I love it. 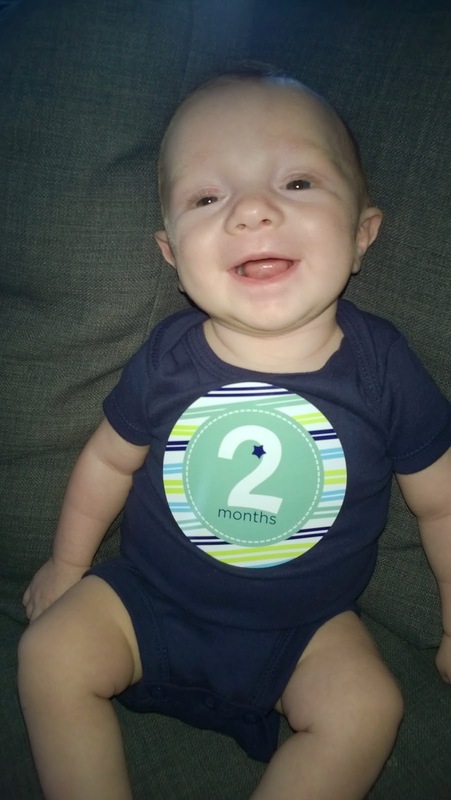 Such a happy little man! He loves his daddy a ton and laughs whenever he's around. He can also hold his head up like a champ. Tummy time leads to the head fully up, looking around. The doctor was super impressed with his neck muscles and his grip! This month was harder than the first. 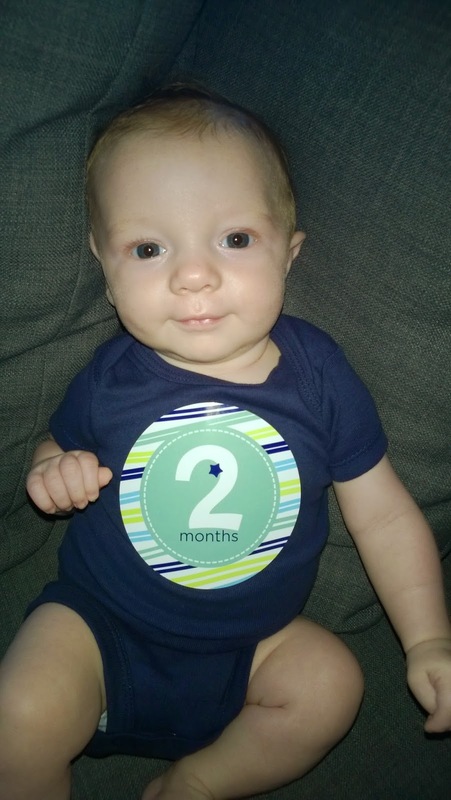 Growth spurts led to restless nights and a lot more nursing but even then I can't complain. Maybe 5 bad nights all month long? Totally doable. He loves to sleep in his swing or cuddled against someone, but his absolute favorite place to sleep is our bed. Not sure what it is but he loves it. He's still sleeping in his Rock N Play next to our bed but loves his middle of the night feedings because he lays in bed next to me. Breastfeeding exclusively still, or as Emma calls it "drinkin mama's boobie milk". He's been a lot more efficient, only nursing for about 20-30 minutes at a time. At night, he likes to cluster feed and then fall asleep for a few hours. He's taken a bottle from David and Emmalee now and doesn't fight it at all. Will definitely make it easier when I go back to work. We have a coo-er! And he laughs. Best sounds. His laugh is this like inhaled noise but it always accompanies a huge smile. He coos and has "talks" with me and his animals on his swing and bouncey seat. Going outside in the carrier. Moving. Just moving. Gets tempermental if he's stuck in his carseat not moving or doing anything. Car rides - always falls asleep. Talking to people. Gets a huge smile when people talk to him. It's not to say I leave him home all the time but our family has trasnitioned to a second baby so easily. Emmalee screamed bloody murder and wouldn't take a bottle from anyone when she was a baby so I'd feel guilty every time I left the house. He's just so content that it makes it easier on me to take care of the rest of the family (including me!) as well. All of that, and that damn smile. Melts my heart every time!